Iowa is bordered by the Mississippi River on the east; the Missouri River and the Big Sioux River on the west; the northern boundary is a line along 43 degrees, 30 minutes north latitude. The southern border is the Des Moines River and a not-quite-straight line along approximately 40 degrees 35 minutes north, as decided by the U.S. Supreme Court in Missouri v. Iowa (1849) after a standoff between Missouri and Iowa known as the Honey War. The explosion in the number of high-density livestock facilities in Iowa has led to increased rural water contamination and a decline in air quality. Other factors negatively affecting Iowa's environment include the extensive use of older coal-fired power plants, fertilizer and pesticide runoff from crop production, and diminishment of the Jordan Aquifer. Iowa has a relatively smooth gradient of varying precipitation across the state, with areas in the southeast of the state receiving an average of over 38 inches (97 cm) of rain annually, and the northwest of the state receiving less than 28 inches (71 cm). The pattern of precipitation across Iowa is seasonal, with more rain falling in the summer months. In Des Moines, roughly in the center of the state, over two-thirds of the 34.72 inches (88.2 cm) of rain falls from April through September, and about half of the average annual precipitation falls from May through August. After the 1803 Louisiana Purchase, Congress divided the Louisiana Purchase into two parts—the Territory of Orleans and the District of Louisiana. The latter, of which in was placed. Iowa was placed under United States jurisdiction of the Territory of Indiana, with William Henry Harrison. Much of Iowa was mapped by Zebulon Pike in 1805, but it was not until the construction of Fort Madison in 1808 that the U.S. established tenuous military control over the region. Iowa has a long tradition of state and county fairs. The first and second Iowa State Fairs were held in the more developed eastern part of the state at Fairfield. The first fair was held October 25–27, 1854, at a cost of around $323. Thereafter, the fair moved to locations closer to the center of the state and in 1886 found a permanent home in Des Moines. The State Fair has been held every year since except for the year 1898 due to the Spanish–American War and the World's Fair being held in nearby Omaha, Nebraska. The fair was also a World War II wartime casualty from 1942–1945. The United States Census Bureau estimates the population of Iowa was 3,123,899 on July 1, 2015, a 2.55% increase since the 2010 Census. Hispanic or Latino of any race were 5.0% of the population in 2010: 3.8% were of Mexican, 0.2% Puerto Rican, about 0.0% Cuban, and 0.9% other Hispanic or Latino origin. According to the 2010–2015 American Community Survey, the largest ancestry groups were German (35.9%), Irish (13.7%), English (8.5%), American (6.2%), and Norwegian (5.2%). The study Religious Congregations & Membership: 2000 found in the southernmost two tiers of Iowa counties and in other counties in the center of the state, the largest religious group was the United Methodist Church; in the northeast part of the state, including Dubuque and Linn counties (where Cedar Rapids is located), the Catholic Church was the largest; and in ten counties, including three in the northern tier, the Evangelical Lutheran Church in America was the largest. The study also found rapid growth in Evangelical Christian denominations. Dubuque is home to a Catholic archdiocese, which spans the northeastern section of Iowa. After English, Spanish is the second-most-common language spoken in Iowa, with 120,000 people in Iowa of Hispanic or Latino origin and 47,000 people born in Hispanic America. The third-most-common language is German, spoken by 17,000 people in Iowa; two notable German dialects used in Iowa include Amana German spoken around the Amana Colonies, and Pennsylvania German, spoken among the Amish in Iowa. The Babel Proclamation of 1918 banned the speaking of German in public. Around Pella, residents of Dutch descent once spoke the Pella Dutch dialect. Des Moines is the largest city in Iowa and the state's political and economic center. It is home to the Iowa State Capitol, the State Historical Society of Iowa Museum, Drake University, Des Moines Art Center, Greater Des Moines Botanical Garden, Principal Riverwalk, the Iowa State Fair, Terrace Hill, and the World Food Prize. Nearby attractions include Adventureland and Prairie Meadows Racetrack Casino in Altoona, Living History Farms in Urbandale, Trainland USA in Colfax, and the Iowa Speedway and Valle Drive-In in Newton. Directly and indirectly, agriculture has been a major component of Iowa's economy. As of 2007 the direct production and sale of raw agricultural products contributed only about 3.5% of Iowa's gross state product. 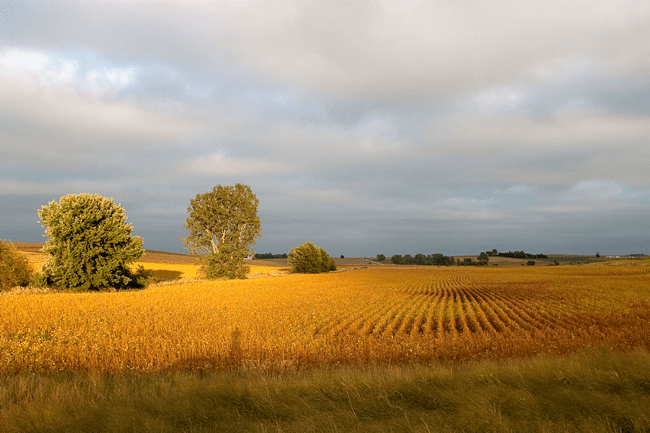 In 2002 the impact of the indirect role of agriculture in Iowa's economy, including agriculture-affiliated business, was calculated at 16.4% in terms of value added and 24.3% in terms of total output. This was lower than the economic impact of non-farm manufacturing, which accounted for 22.4% of total value added and 26.5% of total output. Iowa's main agricultural products are hogs, corn, soybeans, oats, cattle, eggs, and dairy products. Iowa is the nation's largest producer of ethanol and corn and some years is the largest grower of soybeans. In 2008, the 92,600 farms in Iowa produced 19% of the nation's corn, 17% of the soybeans, 30% of the hogs, and 14% of the eggs. The Iowa Insurance Division "Annual report to the Iowa Governor and the Iowa Legislature" from November 2014 looked at the 95% of health insurers by premium, which are 10 companies. It found Wellmark Inc. to dominate the 3 health insurance markets it examined (individual, small group and large group) at 52-67%. Wellmark HealthPlan of Iowa and Wellmark Inc had the highest risk-based capital percentages of all 10 providers at 1158% and 1132%, respectively. Rising RBC is an indication of profits. Iowa has a strong financial and insurance sector, with approximately 6,100 firms, including AEGON, Nationwide Group, Aviva USA, Farm Bureau Financial Services, Voya Financial, Marsh Affinity Group, MetLife, Principal Financial Group, Principal Capital Management, Wells Fargo, and Wells Fargo Financial Services. Iowa is host to at least two business incubators, Iowa State University Research Park and the BioVentures Center at the University of Iowa. The Research Park hosts about 50 companies, among them NewLink Genetics, which develops cancer immunotherapeutics, and the U.S. animal health division of Boehringer Ingelheim, Vetmedica. Emmyon is a startup hosted in the BioVentures Center, which is developing medicines to treat muscle disorders. Renewable energy has become a major economic force in northern and western Iowa, with wind turbine electrical generation increasing exponentally since 1990. 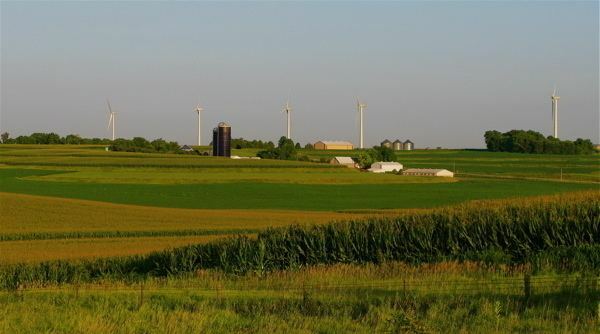 In 2010, wind power in Iowa accounted for 15.4% of electrical energy produced, and 3675 megawatts of generating capacity had been installed at the end of the year. Iowa ranked first of U.S. states in percentage of total power generated by wind and second in wind generating capacity behind Texas. Major producers of turbines and components in Iowa include Acciona Energy of West Branch, TPI Composites of Newton, and Siemens Energy of Fort Madison. Iowa imposes taxes on net state income of individuals, estates, and trusts. There are nine income tax brackets, ranging from 0.36% to 8.98%, as well as four corporate income tax brackets ranging from 6-12%, giving Iowa the country's highest marginal corporate tax rate. The state sales tax rate is 6%, with non-prepared food having no tax. Iowa has one local option sales tax that may be imposed by counties after an election. Property tax is levied on the taxable value of real property. Iowa has more than 2,000 taxing authorities. Most property is taxed by more than one taxing authority. The tax rate differs in each locality and is a composite of county, city or rural township, school district and special levies. Iowa allows its residents to deduct their federal income taxes from their state income taxes. After the 2010 census and the resulting redistricting, Iowa lost one seat, falling to 4 seats in the House of Representatives. Incumbent congressmen Leonard Boswell (D) and Tom Latham (R) ran against each other in the new Third District; Latham won. Steve King represented the old Fifth District. In Iowa, the term "political party" refers to political organizations which have received two percent or more of the votes cast for president or governor in the "last preceding general election". Iowa recognizes two political parties – the Republican Party and the Democratic Party. Third parties, officially termed "nonparty political organizations", can appear on the ballot as well. Five of these have had candidates on the ballot in Iowa since 2004 for various positions: the Constitution Party, the Green Party, the Libertarian Party, the Pirate Party, and the Socialist Workers Party. As a result of the 2010 elections, each party controls one house of the Iowa General Assembly: the House has a Republican majority, while the Senate has a Democratic majority. Since the defeat of incumbent Democrat Chet Culver in 2010, Iowa's governor has been Republican Terry Branstad, who served as governor from 1983 to 1999. On December 14, 2015, Branstad became the longest serving governor in US history, serving (at that time) 20 years, 11 months, and 3 days; eclipsing George Clinton (vice president), who served 21 years until 1804. As of February 1, 2016, there were 2,095,639 registered voters. 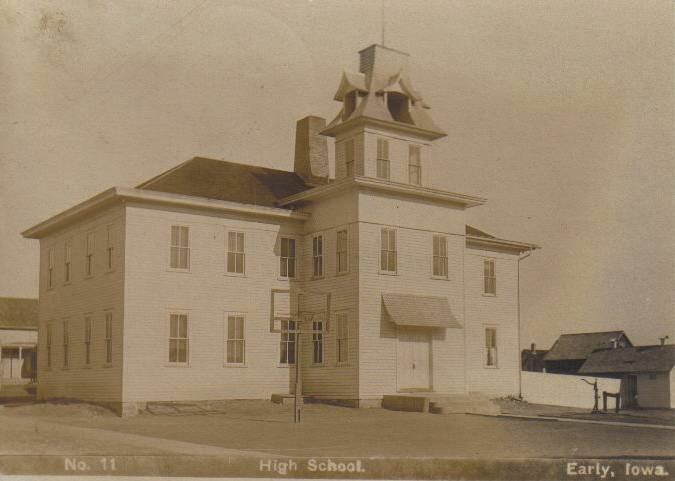 In the 19th century Iowa was among the earliest states to enact prohibitions against race discrimination, especially in education, but was slow to achieve full integration in the 20th century. In the very first decision of the Iowa Supreme Court – In Re the Matter of Ralph, decided July 1839 – the Court rejected slavery in a decision that found a slave named Ralph became free when he stepped on Iowa soil, 26 years before the end of the Civil War. The state did away with racial barriers to marriage in 1851, more than 100 years before the U.S. Supreme Court would ban miscegenation statutes nationwide. As with racial equality, Iowa was a vanguard in women's rights in the mid-19th century, but was slow to give women the right to vote. In 1847, the University of Iowa became the first public university in the U.S. to admit men and women on an equal basis. In 1869, Iowa became the first state in the union to admit women to the practice of law, with the Court ruling women may not be denied the right to practice law in Iowa and admitting Arabella A. Mansfield to the practice of law. Several attempts to grant full voting rights to Iowa women were defeated between 1870 and 1919. In 1894 women were given "partial suffrage", which allowed them to vote on issues, but not for candidates. It was not until the Nineteenth Amendment to the United States Constitution was ratified in 1920 that women had full suffrage in Iowa. Although Iowa supported the Federal Equal Rights Amendment, in 1980 and 1992 Iowa voters rejected an Equal Rights Amendment to the state constitution. Iowa did add the word "women" to the Iowa Constitution in 1998. After Amendment, it reads: "All men and women are, by nature, free and equal, and have certain inalienable rights – among which are those of enjoying and defending life and liberty, acquiring, possessing and protecting property, and pursuing and obtaining safety and happiness." Des Moines is home to the Iowa Wild, who are affiliated with the Minnesota Wild and are members of the American Hockey League. The Quad City Mallards games are played in Moline, Illinois as part of the ECHL. The Des Moines Menace of the USL Premier Development League play their home games at Valley Stadium in West Des Moines, Iowa. Starting in the 2015-16 season of the Major Arena Soccer League, the Cedar Rapids Rampage plays in the U.S. Cellular Center. As well as the Cedar Rapids Rampage United plays at Kingston Stadium. Notable writers, artists, and news personalities from Iowa include Bill Bryson, Corey Taylor, George Gallup, Susan Glaspell, Mauricio Lasansky, Tomas Lasansky, Harry Reasoner, Phil Stong, and Grant Wood. Musicians, actors, and entertainers from Iowa include Tom Arnold, Bix Beiderbecke, Johnny Carson, Tionne Watkins of TLC (group), Buffalo Bill Cody, Simon Estes, Nathan Jonas Jordison, Corey Taylor, Shawn Crahan, William Frawley, Charlie Haden, Ashton Kutcher, Cloris Leachman, Glenn Miller, Kate Mulgrew, Donna Reed, George Reeves, Brandon Routh, Jean Seberg, John Wayne, Brooks Wheelan, Andy Williams, Meredith Willson, and Elijah Wood. Many athletes from Iowa have become famous enough to be noted in the List of people from Iowa. Iowa athletes winning Olympic gold medals are Tom Brands, Jay Clark, Chuck Darling, Dan Gable, Shawn Johnson, Edward Lindberg, Allie Morrison, George Saling, Cael Sanderson, Kenneth Sitzberger, Doreen Wilber and Frank Wykoff. Iowa athletes inducted into the Baseball Hall of Fame include Cap Anson, Fred Clarke, and Bob Feller. In college football, Jay Berwanger was the first winner of the Downtown Athletic Club Trophy in 1935, later renamed the Heisman Trophy and won by Nile Kinnick in 1939. In professional football, Kurt Warner was the Super Bowl XXXIV MVP winner and a two-time NFL MVP award winner. Frank Gotch was a World Heavyweight Wrestling Champion, Zach Johnson won the 2007 Masters Golf Tournament and the 2015 British Open, and Jeremy Hellickson won the 2011 American League Rookie of the Year award pitching for the Tampa Bay Rays. Former WWE Heavyweight Champion, Seth Rollins, is from Davenport, IA.